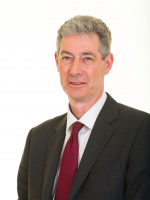 In 1994 Richard was appointed as a consultant Orthopaedic Surgeon, with a special interest in hips, at St Helier Hospital, Carshalton. In his early years at St Helier, he introduced hip arthroscopy, hip preserving surgical procedures and many innovations in hip replacement surgery. He also established a research department and outcome programme. Since 2004, this research team has worked at both St Helier and the South West London Elective Orthopaedic Centre (the EOC) to develop a world renowned research programme with many national and international collaborations. In 2013 he was awarded a personal Chair at St George’s, University of London in recognition of his work at St Helier and the EOC. Consultant Orthopaedic Surgeon, Epsom & St Helier NHS Trust. Hip replacement, management of hip disorders in younger adults, arthroscopic hip surgery.